It’s a fun craft project to work with kids. 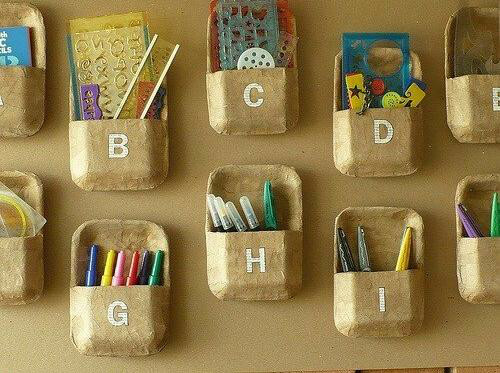 It’s also pretty practical to organize pencils, ruler etc. 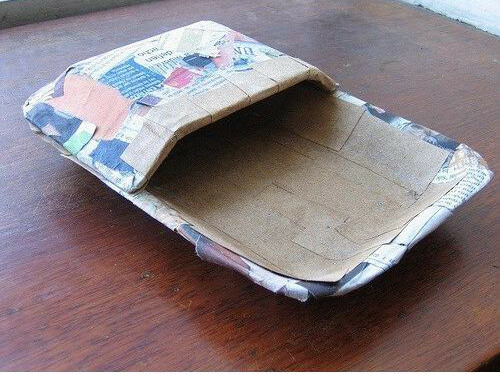 with them. 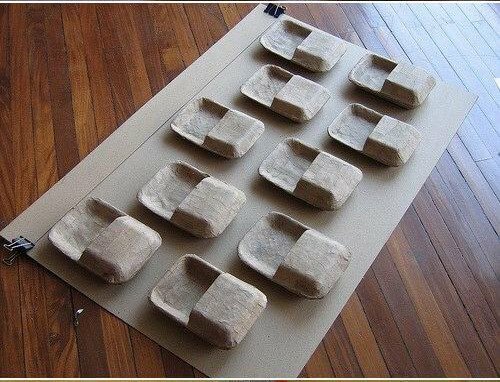 Cut a styrofoam tray in half. 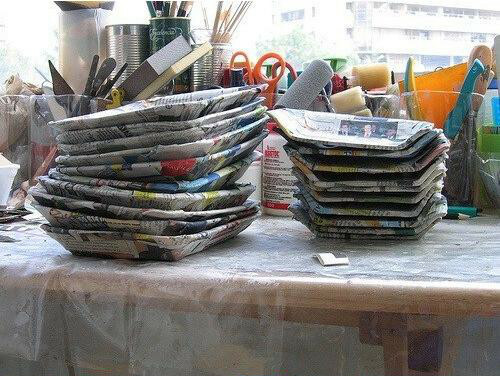 Cut some newspaper strips and cover both the halves with strips using glue. 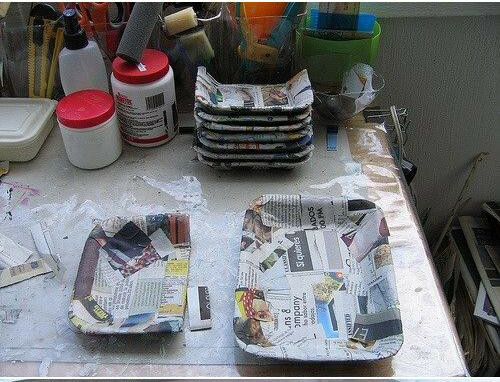 Cover two trays with newspaper strips. 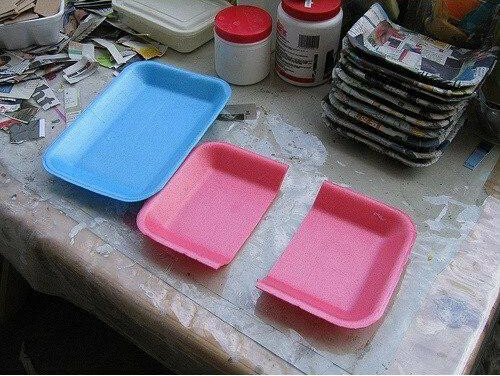 Glue or staple both the halves to two trays as shown. 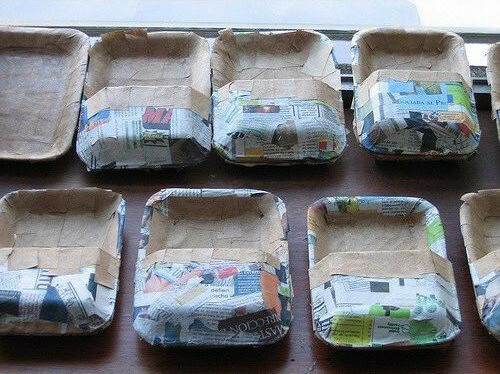 When they are dry, apply strips of brown paper with glue covering whole module. 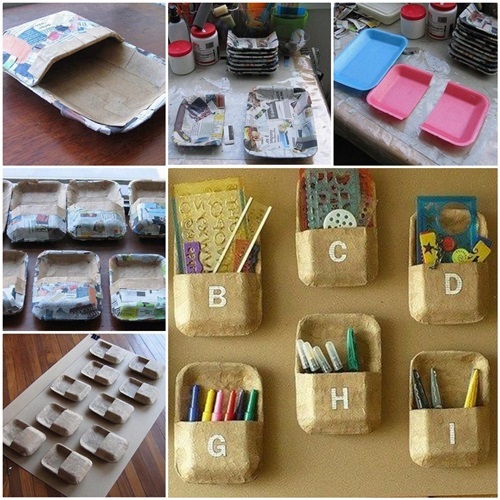 Make as many modules as you need and then stick them on a cardboard to be hung on your wall.